Subaru finally revealed the new model! Goes on sale summer 2018. 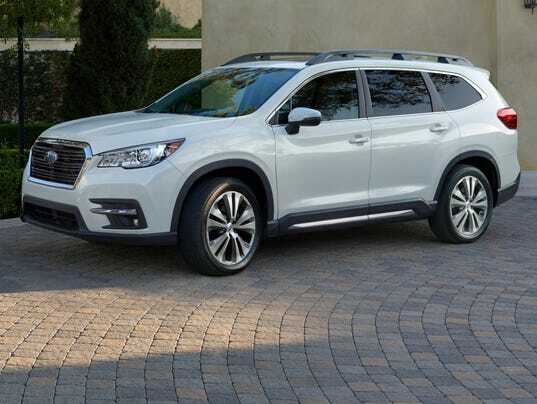 Kinda sad they ditched the proposed Turbo H6 & went with the Forester XT drive train. I was told by a Subie rep a couple months ago they did this because of California emissions standards (& he hinted the H6 may be phased out entirely). WOW thats so cool! 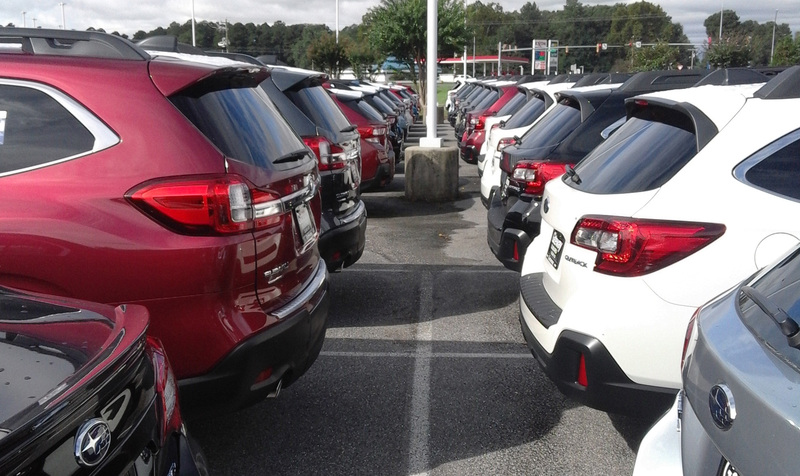 it looks like... every other FLC (factory lifted car AKA SUV AKA minivan with folding doors instead of sliding) out there. I'll stick with our 2018 Crosstrek...LOVE IT! I just heard about this model the other day, it's been produced since 2014, called the LEVORG. It's a WRX-ified Crosstrek-style Legacy for the Japanese domestic & Australian markets. Why can't Australia loan us some of its fun cars? 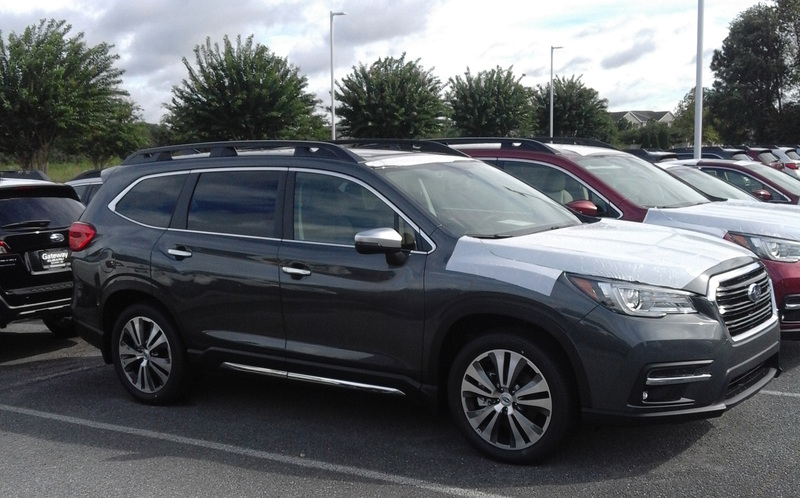 Got some pics of the 2019 Ascent while the Baja was getting serviced. So it's based on the Impreza frame but uses a lot of the styling from the current-gen Legacy, matter fact the headlights are exactly the same as the Legacy's. Subaru wasn't lying when they said this is their biggest model yet- this thing is HUGE for a Subie. 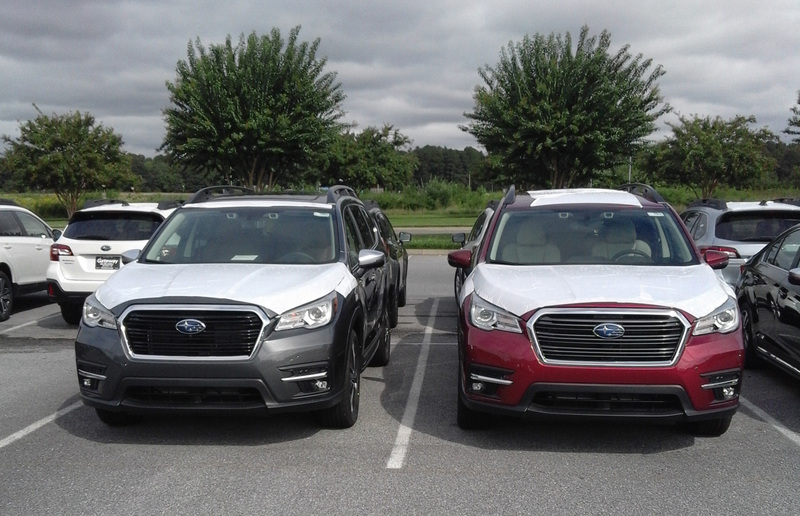 Picture doesn't really do it service, but in the picture above on the left are the two Ascents they had (red and grey), and on the right side are 2019 Outbacks. Another interesting thing to note is the engine is (as of now) proprietary to the Ascent. It's a 2.4L turbo that, according to the literature I read, runs on 87 octane and can put out 260hp. The Ascent also apparently has a 5,000lb towing capacity.